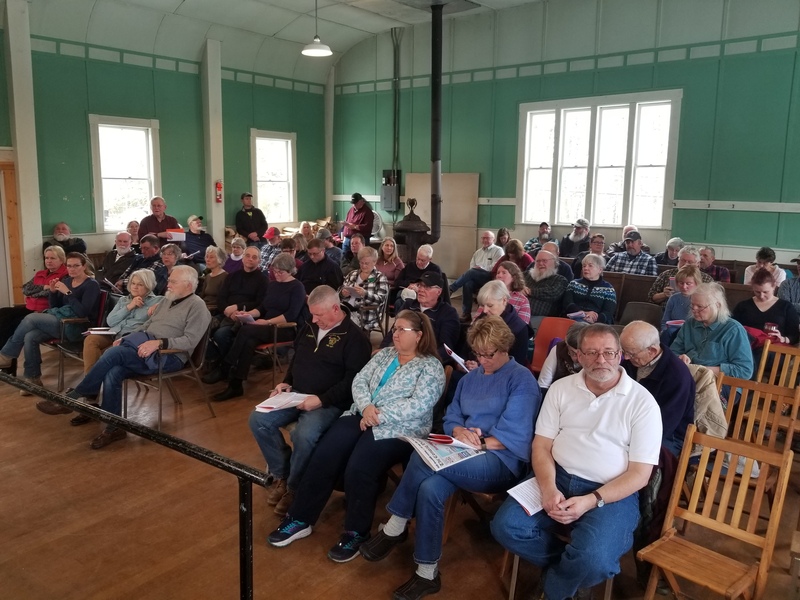 More than 60 people were in attendance at Lovell's Annual Town Meeting morning, a higher number than recent years. There were 87 articles voted on. As always, the first order of business was to nominate and elect Jonathan Bliss as the meeting's moderator. Robert Drew was reelected to a three-year term as Selectman. Several vacancies on the Planning Board, Budget Committee and School Board were quickly filled. Mr. Bliss opened the meeting acknowledging the recent retirement of Janice Arsenault as Lovell Tax Collector (after 29 years!) and introduced Laura Williams as her replacement. 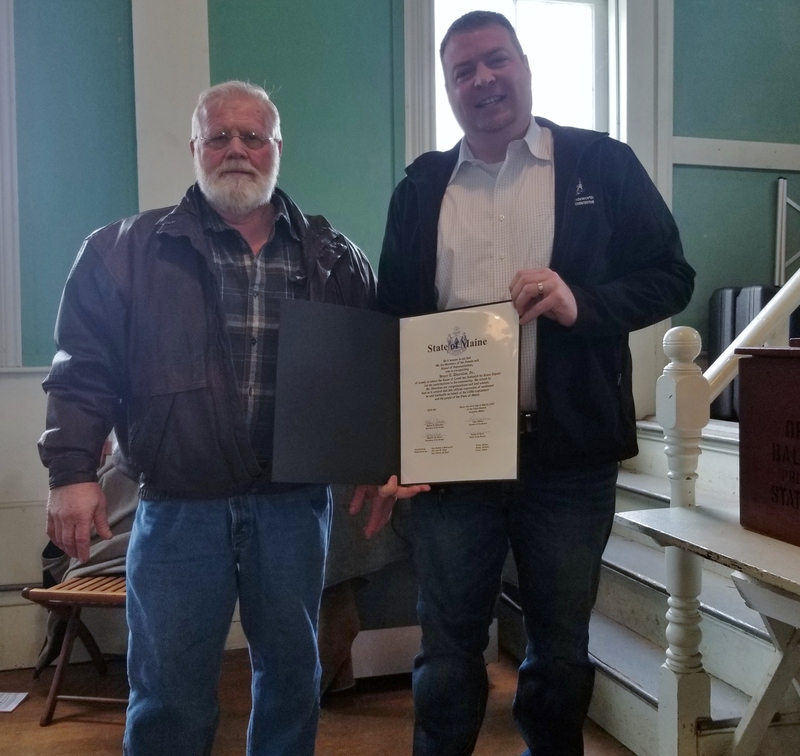 A hearty round of applause was given when Mr. Bliss mentioned that this year's report was dedicated to Bruce "Hoss" Thurston, who was in attendance. Mr. Bill Doyle took a moment to make a heartfelt statement on Hoss and what he meant to him personally and to many others in the town. Later in the morning, guest District 70 Representative, Nathan J. Wadsworth, asked for, and was granted, permission to make a presentation. Mr. Wadsworth read a statement from the Maine Legislature praising Hoss. It was a very touching moment and a well-deserved honor! Reflecting the hard work of the Selectmen and the Budget Committee, there was minimal discussion on the amount of monies to be budgeted. There was a request to permit a discussion of the Mill Pond Dam issue but that was voted down, 18-15. 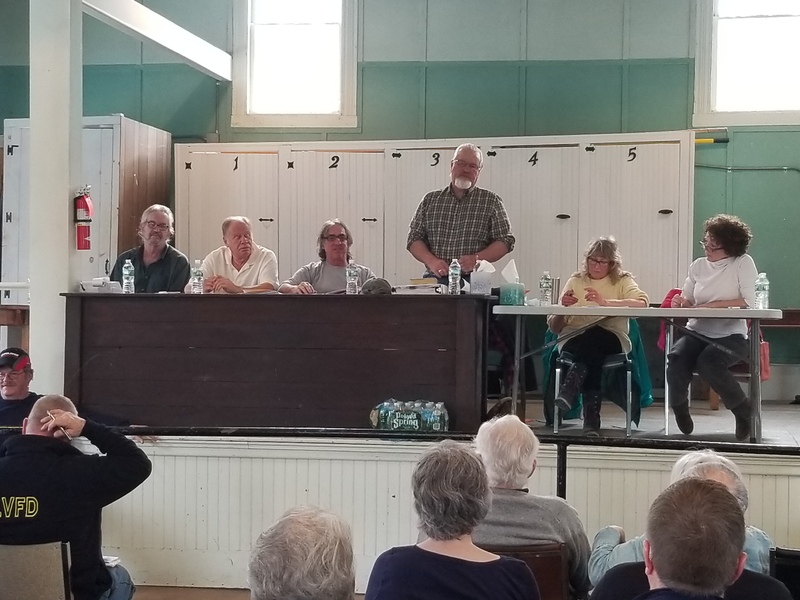 The Selectmen explained that they are in the process of approving a study to determine the scope and the cost of a dam replacement. A public meeting could then take place when that information is available; hopefully later this year. The meeting was over in about two hours! Plenty of time left in the day to take care of chores.